There are a lot of changes, but it wouldn't make much sense to go into the season with the same roster that manage to stay under .500 the past few seasons. I think most of the changes are for the better, but it is clear the O-line needs a little more work. 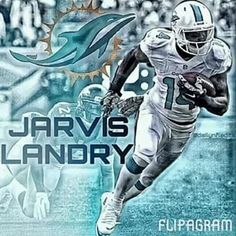 If the Dolphins stabilize the OT situation and get good QB play they are a playoff team. Only exception is key injuries. The talent is there. Overall a better team. Faster, smarter, and more physical. No doubt we are a better team. Also pleasently surprised by Ireland's performance. Given all the new players though, I don't feel it is going to amount to many more wins. It takes time for a team to gell. Only time will tell and I hope I'm wrong. We have a tough schedule and teams like the Ravens and Steelers are no easy road to a wildcard berth. I think we will see Dallas make the starting line up.....or we will sign another FA player or two.....like Winston and McKinnie. I think we are a better ball club now, then we were a year ago. I think we need to bring it all togther and hope we are not plagued by injuries. I think that if the stars perfom, Tanny can turn the corner and Miller can pick up where Bush left off (doesnt have to be Bush) just needs to be able to play the spot. We will be fine. 1. I think we got a little bit of an upgrade in talent from last year. Overall the new talent is better than the old talent a little bit. Most of the positions I would call downgrades are really only slight downgrades and many of the upgrades are major ones, Especially Wallace and Jordan! 3. We are now built to run the scheme we want to run. Half our players last year didn't fit the scheme. Fasano, Long, Dansby, Smith, etc. What we lost in overall talent at these positions we gained in scheme fit and youth. Every player we picked up was an upgrade in scheme fit. 4. We have more depth. Special Teams and depth is important, and adding guys like Jenkins to be a nickle linebacker and special teams guy, and Sturgis to take over the kicking job, and bringing in some linemen and DB's is all going to make this team better by adding depth. Our defense should be stronger then last season with more sacks and turnovers. Our offense certainly has more play making potential, however how good our offense is will have to do with how good Tannehill is. The offensive line is our clear weakness and lacks solid players. We have alot of depth but only one good player. Martin I'm sure will improve but that still just gives us one viable starting OT. If Miami can land Winston or Albert then I think it will all be on Tannehill shoulders to make us a play off team in 2013. Ireland has done a good job giving us more playmaking ability on both sides of the football. I like how there is competition on all positions as well, like it or not no matter how much talent we have if Tannehill doesn't make a big jump we will still be sitting home for the playoffs. Don't expect Jordan to start at DE. He will be the 3rd down DE this year and on some special teams packages with his height but there's no way he will be start ahead of Odrick game 1 first down I don't think. Overall I think the offense this year is a big big upgrade and importantly the personnel now matches the scheme. If we can add winston at RT I think we're set. I love the look of this offense. The D is almost unrecognisable but crucially we kept the front 4 together (and upgraded it). Hopefully the back end of the D will gel quickly. Certainly our depth at CB is much improved from training camp last year and hopefully Reshad Jones continues his improvement and develops into one of the premier safeties in the game. Special teams should also be improved. We already have arguably the best punter in the game. Now we're going into camp with a veteran kicker competing with the best kicker in the draft. You don't draft someone 3rd overall and give up a 2nd rder to do so and start him off as a situational player. Make no mistake about it, Jordan is a day one starter. I see us running more 3-4 looks this year for sure. We'll see - remember this is a guy coming off shoulder surgery who will miss a number of OTAs because of Oregon's semester structure and who for both those reasons is likely to not be physically or mentally (ie playbook) ready. Plus it's not like players like Odrick and Vernon are scrubs. I think he will start as a situational rusher and be gently phased into the team and to be honest I will be perfectly happy with that - fans need to be patient even if he is a high draft pick.